This is a warning! Once you make these Delicious Dijon Rosemary Orange Chicken Cutlets you’ll be hooked and there is no turning back. I guarantee that this recipe will become a staple in your arsenal of killer recipes from now on. The thing that is so great about this recipe is that it is really quick and simple to make. And it can probably be made with ingredients that you may already have on hand. I don’t know about you, but I buy boneless, skinless chicken breasts when they go on sale. Then, I divide the chicken up, slip them in ziplock freezer bags and stash them away in the freezer for the very moment when I feel like making something like this. 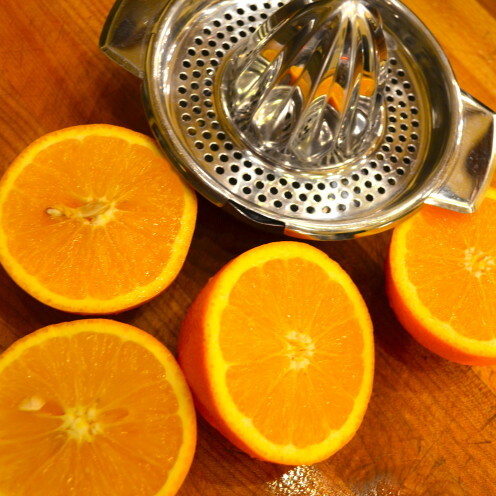 I also always have Dijon mustard and brown sugar in my pantry, and almost always have oranges on hand ’cause my son loves ’em. 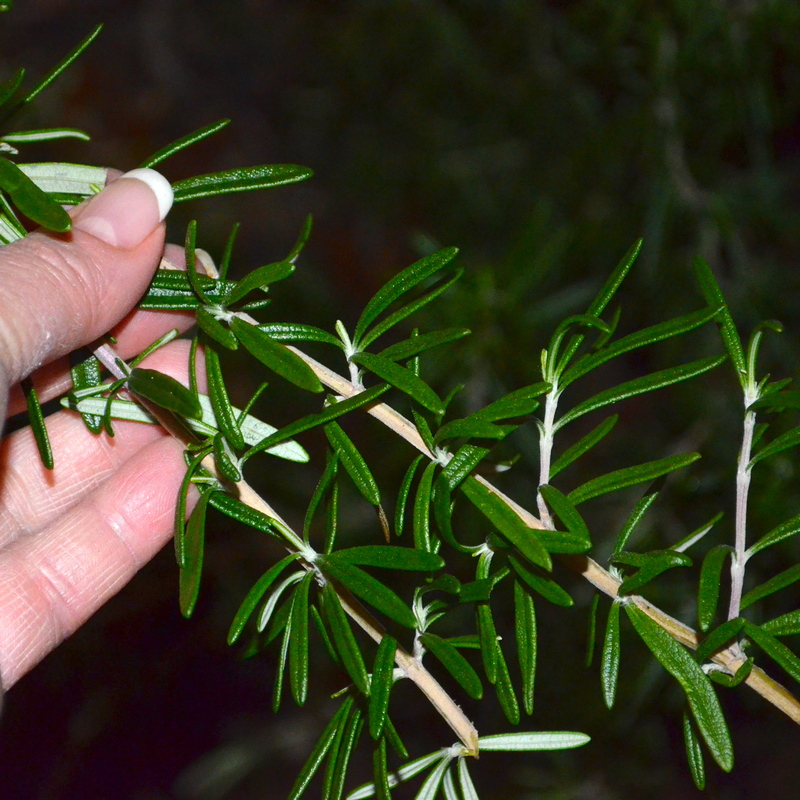 I grow rosemary in my kitchen garden, so I’m all set. Delicious Dijon Rosemary Orange Chicken Cutlets here we come! Plus you’ll need some flour and butter and olive oil and 3 large, boneless, skinless chicken breasts. 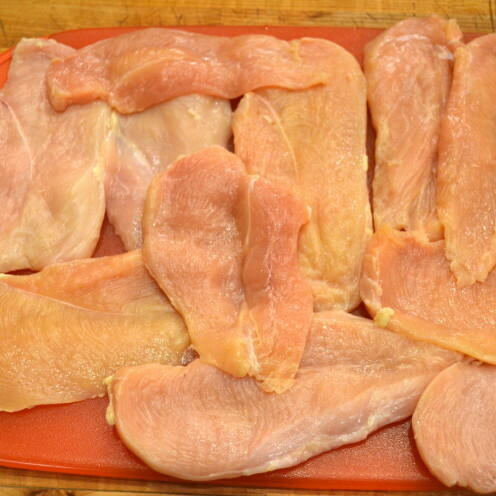 Cut off any fat or remaining skin from your chicken breasts. 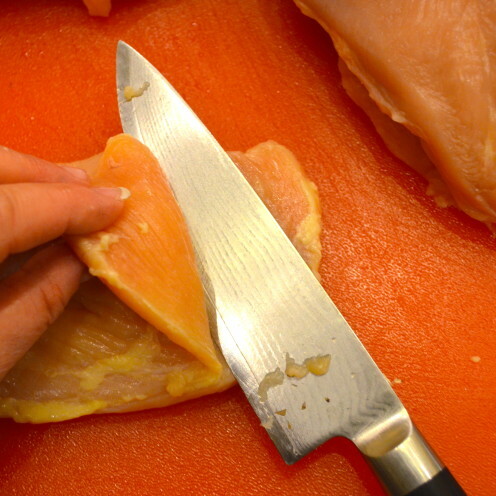 Then, using a sharp knife, filet them into about 3 thin cutlets for each breast. The total number of cutlets you end up with will vary depending on the size of the chicken breasts. In any case, you’ll end up with a bunch of cutlets that look like this. Then, sprinkle Kosher salt and fresh ground pepper on both sides. Now, place 2 cups of flour in a lowsided dish and dredge your cutlets through the flour, lightly coating both sides. Shake off any excess flour. 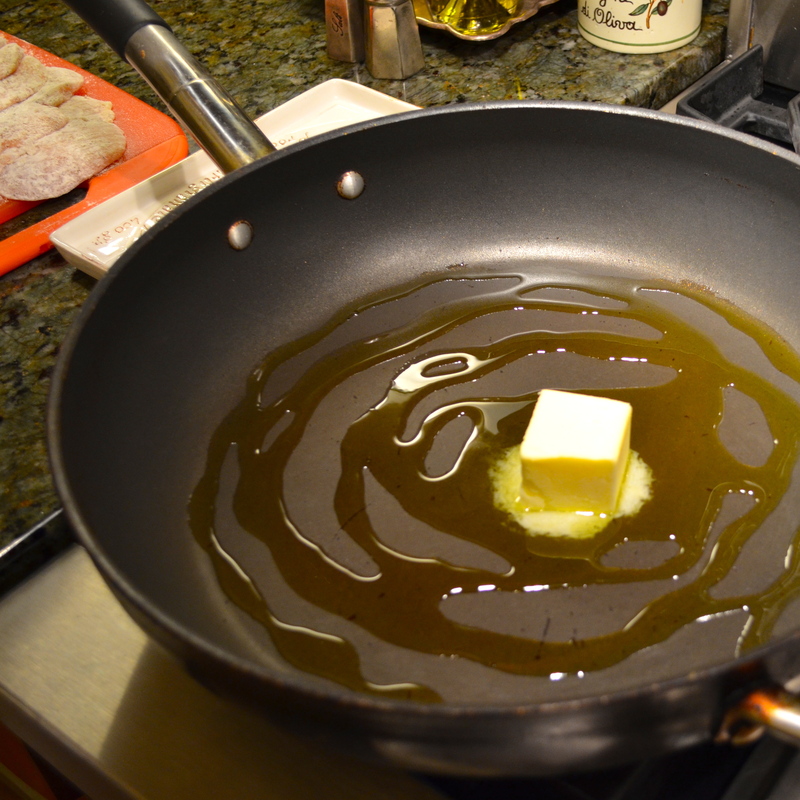 Swirl a couple of tablespoons of extra virgin olive oil around a large skillet and plop in 2 tablespoons of butter. Melt the butter on low heat. By the way, the use of the olive oil keeps the butter from burning. 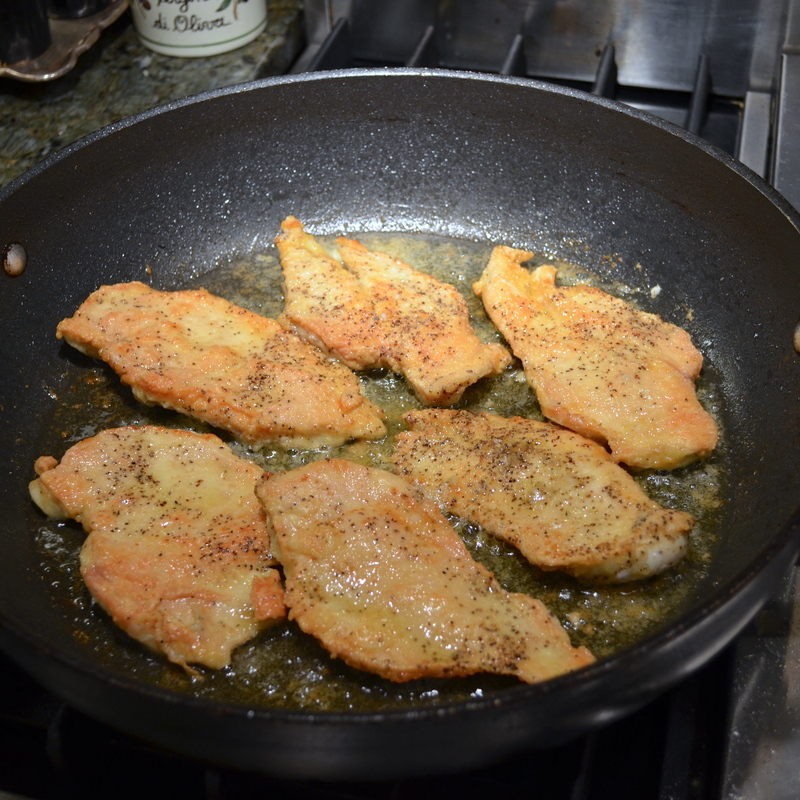 Once the butter is melted, turn the heat up to medium and add the chicken cutlets to the pan. 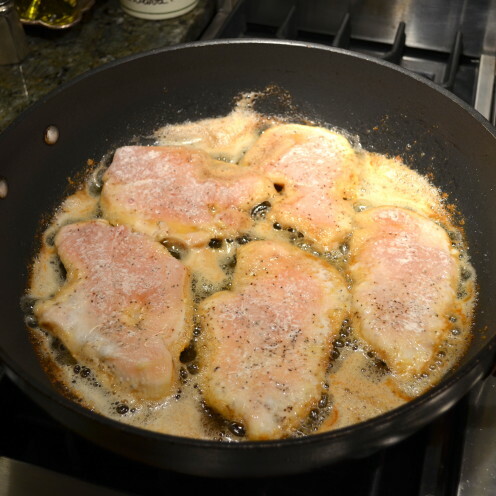 Cook the cutlets, turning them once until they are golden brown on both sides. This will take about 6 minutes. While the chicken is cooking, squeeze 3 or 4 fresh oranges to make 2 cups of juice. 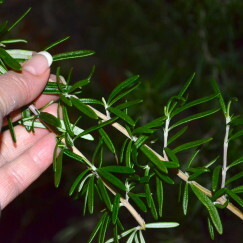 Now, take a couple of stalks of fresh rosemary, strip off the leaves and mince them up. You will need to end up with 1 tablespoon of minced fresh rosemary. 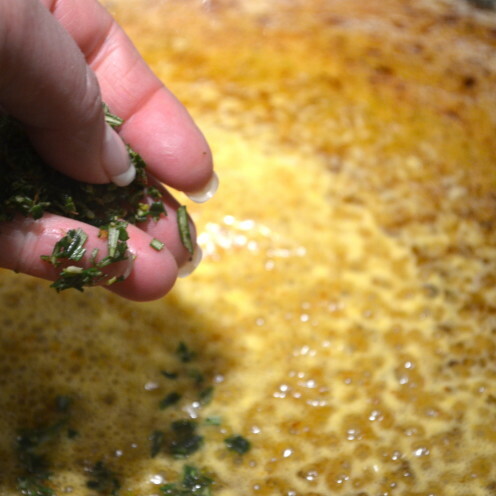 In a pinch I have used dried rosemary, but this dish is much better with fresh rosemary. and place them on a plate. 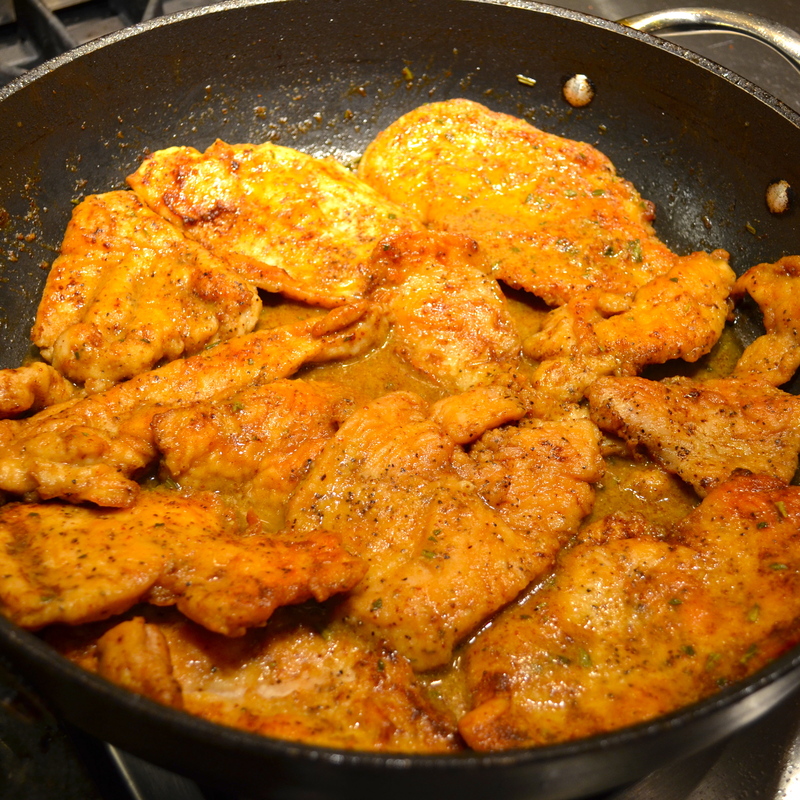 At this point, I place the cutlets in my warming drawer while I prepare the sauce. If you don’t have a warming drawer, cover the plate with foil and set the cutlets aside. 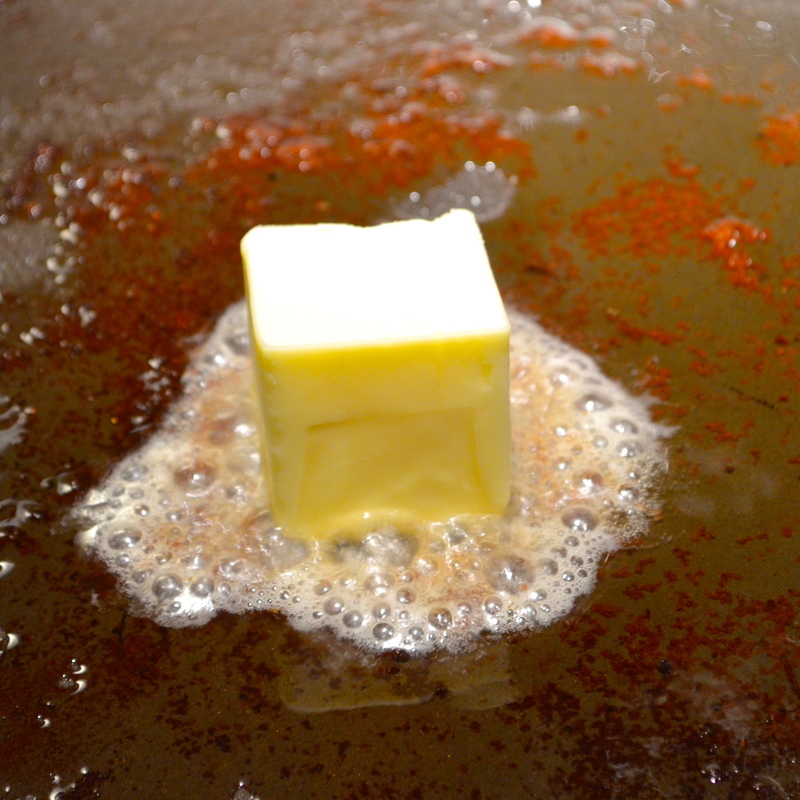 Now, return to the pan that you cooked the chicken in and melt 2 more tablespoons of butter. Then, pour in the 2 cups of orange juice to deglaze all those nice chicken juices from the pan. 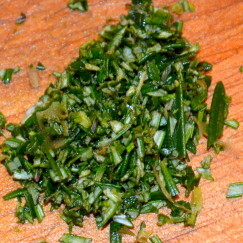 and 1 tablespoon of minced fresh rosemary. 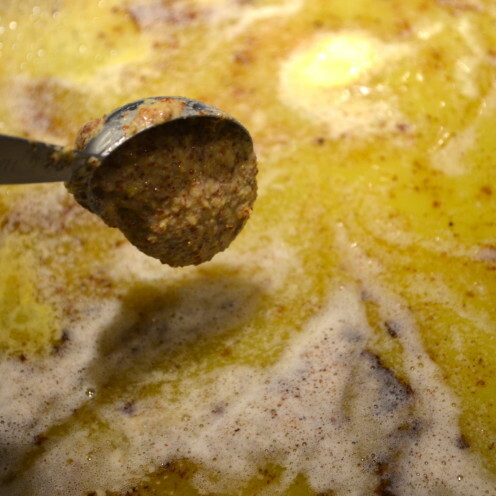 Then whisk it all up. Boil the sauce until it reduces to half. and serve. Because there is so much flavor in this chicken, I like to serve it with plain white rice and a veggie on the side. Now don’t say I didn’t warn you! This is pretty darn delicious, isn’t it? 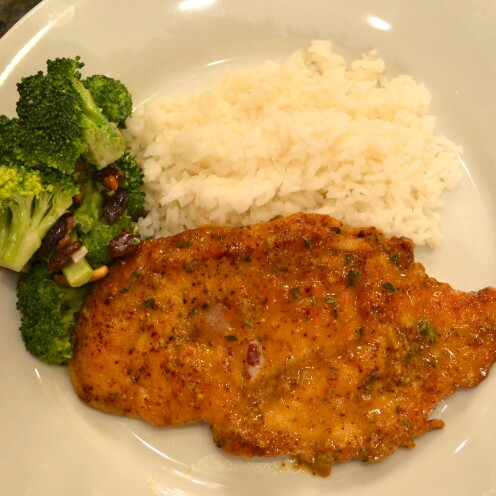 These delicious, easy to make, Dijon Rosemary Orange Chicken Cutlets are so good they are guaranteed to become a staple in your arsenal of killer recipes. Fillet chicken breasts to achieve approximately 9 thin cutlets. 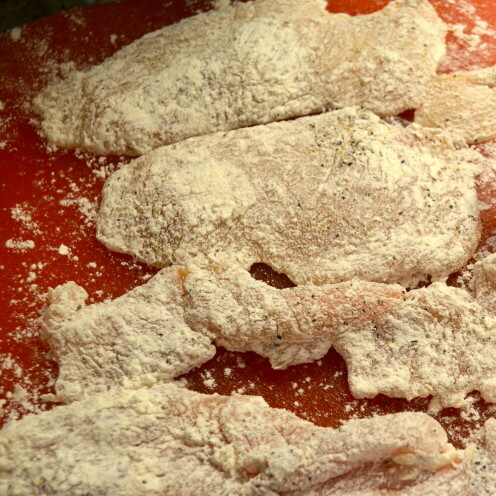 Sprinkle cutlets with Kosher salt and fresh ground pepper. Dredge in flour. Shake off excess. Melt 2 tablespoons of butter in a large skillet on low heat with 2 tablespoons of olive oil. Turn up heat to medium and cook cutlets until browned on both sides, about 6 minutes. 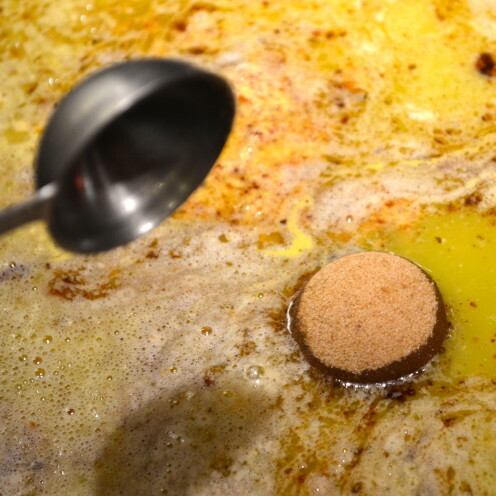 Remove cutlets from the pan and keep warm. 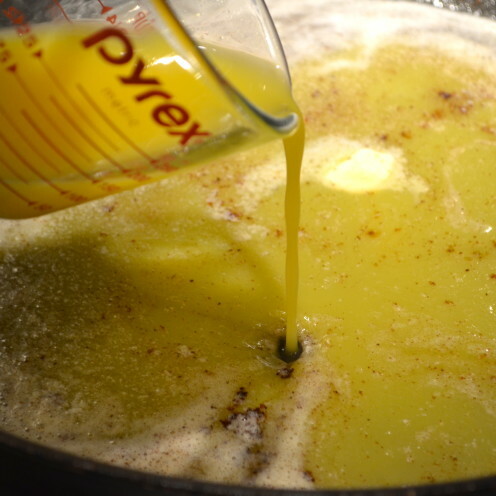 Add remaining 2 tablespoons of butter to the pan in which you cooked the cutlets. 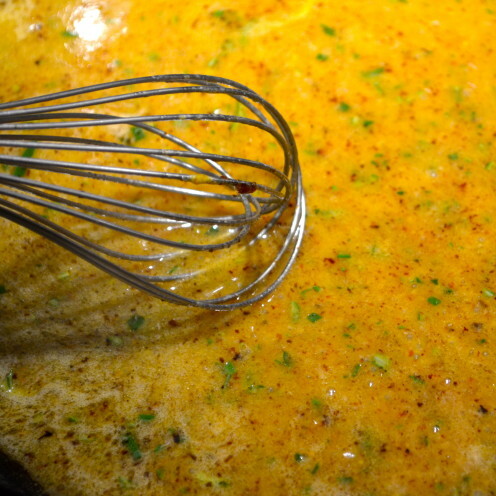 Add orange juice, Dijon mustard, brown sugar and minced rosemary to the pan and simmer over medium heat until sauce is reduced in half. Return cutlets to the pan and spoon the sauce over them. 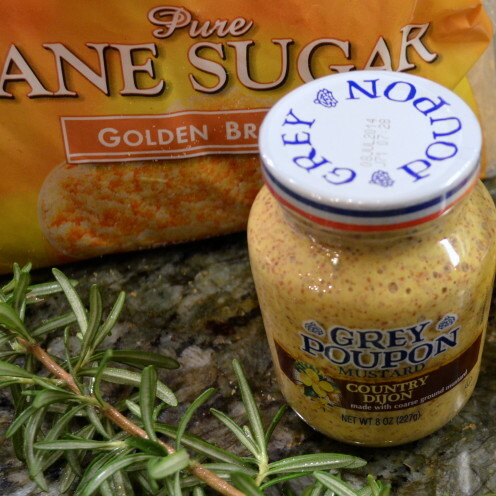 Be sure to use the seeded "Country Style" Dijon Mustard for this recipe. 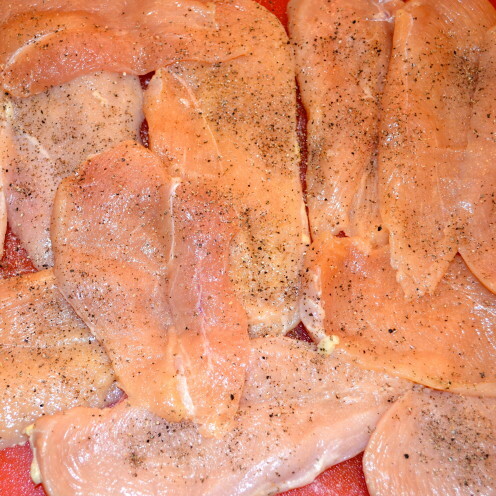 Turkey cutlets may be substituted for chicken cutlets with equal success. PS – The good folks at Grey Poupon don’t know me. I just like their mustard.